ARE YOU MISSING A TRICK WITH YOUR GARDEN? When prospective clients approach me to do planting plans for their gardens it’s always because they are lacking colour and/or structure year round. Although winter colour is what you’d think most people would find difficult to achieve, a lot of people also really struggle with lack of colour in July and August when they find they have a very ‘green’ garden. So, how do you achieve a year round colourful garden with plenty of structure in the winter? There are a number of ways you can tackle this problem. Ornamental grasses have come a long way since the 1970s Pampas grass that most people think about when you first suggest grasses. These not only add almost year round structure but can turn the most beautiful shades of purples and pinks in the autumn, like Panicum virgatum ‘Squaw’. Others like Imperata cylindrica’ Red Baron’ turn blood red as the season progresses while Festuca glauca ‘Elijah Blue’ and Panicum vigatum ‘Heavy Metal are blue from the get go, no need to wait for any colour. If you are looking to brighten up a shady area try Carex elata ‘Bowles Golden’ which has butter yellow leaves or Hakonechloe macro. ‘Aureola’ with limey green leaves. Both will give you colour when you need it most and virtually year round structure. Heuchera are one of my most favourite perennials because of the beautiful leaf colour it has, adding a variety of instant colour to any garden and great at the front of the border. It is a semi-evergreen and so it will give you a long season of interest. When it comes to July and August there are a plethora of options available both in the way of shrubs and herbaceous perennials. My first suggestion for those of you who currently have ‘green’ gardens at this time is to measure up the area where colour is lacking and pop along to a reputable garden centre and choose something that is flowering at that moment, that would grow in your garden conditions. Good nurseries will always give you good advice and suggestions about what to choose, so let them help! Winter is a good time of year to take a long hard look at the garden and think about what is and isn’t working. Definitely think grasses for winter structure and often colour throughout the year along with some herbaceous perennials which do a good job then too. For example, Libertia grandiflora is a lovely evergreen perennial that has white flowers from May – July but gives great structure in the winter or one of the Euphorbia family which will give you an interesting architectural plant all winter long. You can get orange, red and yellow winter colour from the Dogwoods (Cornus) and cheerful yellow flowers from the winter flowering Jasmine (Jasminum nudiflorum) just when we need it most in December and January. So if you think you might be missing a trick, I hope these tips will give you a starting point from which you can try a range of new plants and ideas in the coming year. A beautiful tree adds such a lot to a garden whatever its size. Whenever you start thinking about what to choose, bear in mind where it is to be planted and how tall it will ultimately grow, these are two critical factors. The other thing to consider is, that if this is to be the only tree in your garden or just one of a few then it needs to work hard and earn its place. I always look for 3 seasons of interest when I’m picking a tree for a garden. It might be the texture or colour of the bark which appeals, or the changing of the leaf colour through the seasons. Whatever it is, make sure that it lasts for most of the year! The trees below are ones I love and often use. They don’t grow too tall and give you lots of colour and interest throughout the year which is why I’d recommend then for a small garden. The Rowan tree is one of my favourites and I know I’m not alone as many of my client’s ask for them in their garden. It’s then just a case of picking the right one. Sorbus vilmorinii is a cracker. White flowers during April and May that lead to pendulous red berries that fade to white as the season progresses and pretty olive –green feathery foliage that turns crimson in the autumn. It is a slow to medium growing tree that will eventually reach a height and spread of around 5 metres in 20 years. It likes full sun or dappled shade light conditions. Sorbus ‘Joseph Rock’ is a fast growing tree that has lovely green leaves that turn fabulous shades of orange, purple and red in the autumn. White flowers appear in spring followed by yellow berries that birds love in the autumn. It can tolerate a wide range of soils and conditions which makes it such a valuable tree. Height can eventually reach 10m and spread 7m and it likes full sun or dappled shade too. Acer ‘Trompenberg’ is a fantastic tree that will grow into a rounded shape. The foliage is purple/red in the spring fading to green in summer and then turning to an orangey red colour in the autumn. If you have limited space this will be ideal for you only reaching a height and spread of 4m in 20 years. It will tolerate full sun but prefers some shade if it can get it. Prunus ‘Snowgoose’ is a great Cherry to use when you don’t have a lot of space. It has more of an upright shape than many, so is perfect when you have a narrow garden space to fill. You can expect a height of 4m and a spread of 2m in 20 years so perfect for tight spaces. The beautiful bright green leaves in spring take on autumn tints of red and bronze in the autumn. It has large white single flowers in spring with attractive tasselled stamens and gives you everything you want from a cherry tree but for a small space. Amelanchier ‘Ballerina’ has clusters of white, star shaped flowers sometimes blushed pink covering the tree in April. The foliage is a highly attractive bronze colour when it unfurls in spring before turning dark green and oval in the summer. 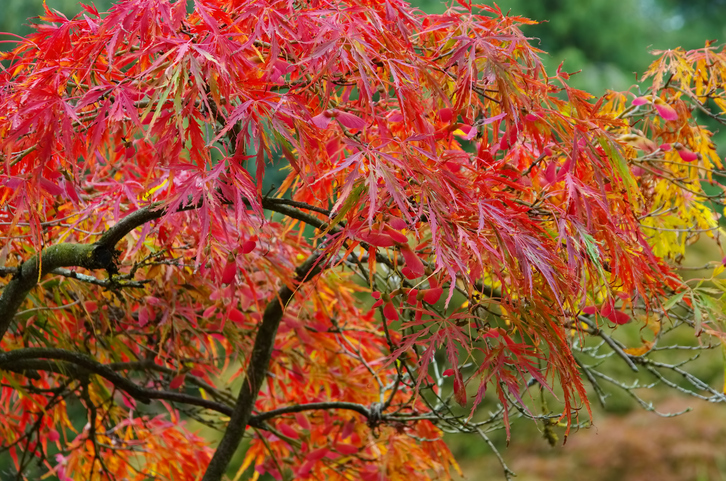 The autumn display is beautiful with leaves turning a striking reddish – purple. Small red berries are produced which can be eaten and are loved by the birds. This is a tough tree which will grow in damp sites and is tolerant of pollution. You can expect it to grow to a height and spread of 4m in 20 years. Early in the planning of your garden you should determine how plants will fit in to the overall design. They can be used in a number of ways, for example for giving structure, adding height or even as a focal point in the garden to name but a few. Plants can also be used as barriers to define areas and create ‘rooms’ and you can highlight important points in the garden by using unique plants. Different sizes, textures, colours and contrasting shapes will help to capture your attention and direct it in a specific direction. All year round colour, structure and interest should be your aim and it will take thought, consideration and research to pull your plan together. The place to start is with the ‘ backbone’ of the garden and by that I mean the structure. You need to get that in place before you get carried away with adding in the pretty flowers! It can be hard to be firm with yourself on this but it really will pay dividends in the end. I’d recommend starting with some evergreen shrubs and also any trees you may want. In my blog next week I’ll look at a selection of ornamental trees for your garden as ideally you should try to pick ones that will give you three seasons of interest. 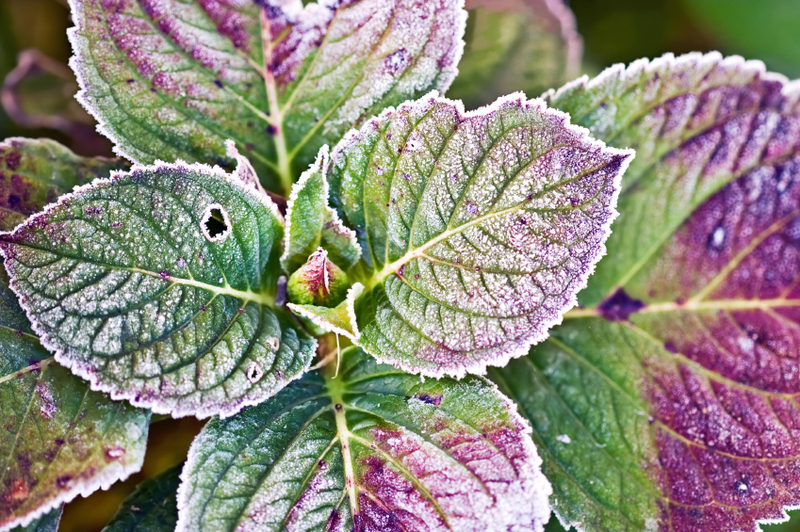 Look for winter flowering evergreen shrubs or one that have leaves with interesting textures. If you’re wanting fairly quick coverage then check online the growth rates of various evergreens and choose the ones that say moderate to fast growth. Shrubs like Fatsia japonica, one of my personal favourites, is a quick growing shrub with tropical looking leaves and white flowers in September and October. I usually add in some deciduous shrubs next and one I particularly like is Viburnum x bodnantense ‘Dawn’. Although it has leaves in the summer, its particular season of interest is the winter when beautiful pink/white flowers appear on its stems. Other great winter flowering evergreens are Viburnum tinus ‘Eve Price’ with pink winter flowers, Mahonia japonica with bold foliage and scented early spring flowers and Choisya ternata with glossy foliage. After that, I tend to look at any ornamental grasses I might want to use. Not all my clients like grasses and quite often they are banished from my planting plans, however personally I think they are a fantastic addition to most gardens for a number of reasons. They allow movement in a garden and are perfect to harness the wind we get in Edinburgh and many other areas of Scotland. We can’t change the windy conditions we have so let’s utilise it! 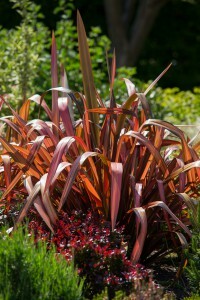 There are ornamental grasses available in many sizes and colours. The great thing about grasses are the sounds they create from rustling to swishing and they give structure for about 11 months of the year. Many grasses only need to be cut back in February with the exception of grasses like Phormiums which have much stiffer leaves. Some of my personal favourites are Stipa tenuissima, a fantastic and versatile grass that can be planted in amongst herbaceous perennials to great effect. When the wind catches them they swirl around and look fantastic. Some of my favourite coloured grasses are Festuca glauca which is blue, Imperata rubra ‘Red Baron’ and Panicum ‘Squaw’ which changes colour from green to pink to wine red from spring through to autumn. There are lots to choose from often changing colour through the seasons which gives a lot of variety and interest throughout the year. 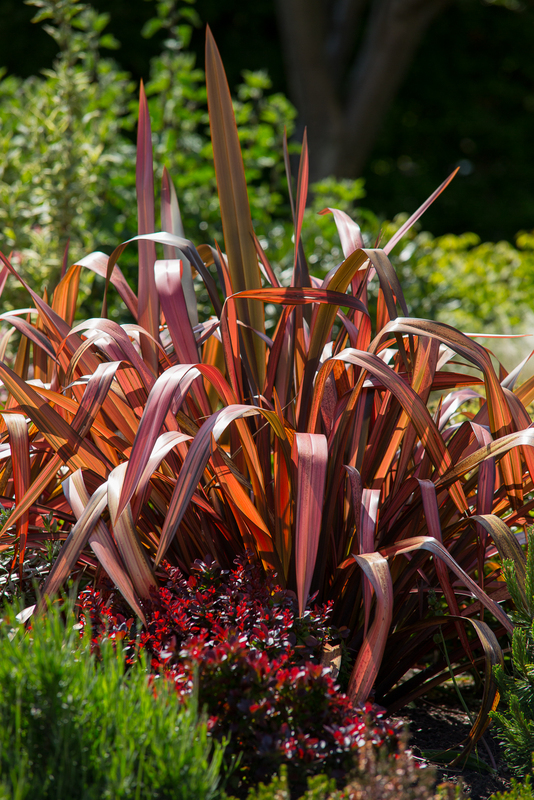 Phormiums also come in a variety of colours and look great as a focal point in the garden with their stiff leaves adding great texture to the border. Do check the height and spread of all the plants you are thinking of using and make sure that they are planted in a way that one is not obscuring another. People often forget to check the final height and spread of plants which often means that they buy far too many. The plants then just try to out compete each other with the end result being an overcrowded messy border! It is such a waste of money too so it really pays to do your research. Last but not least are the herbaceous perennials, the fun bit that we all want to start with first but mustn’t! Unless you have a very large garden I’d recommend you go for perennials with long periods of interest. Choosing too many short flowering perennials will result in lots of green leaves and not much colour in large swathes of your garden. 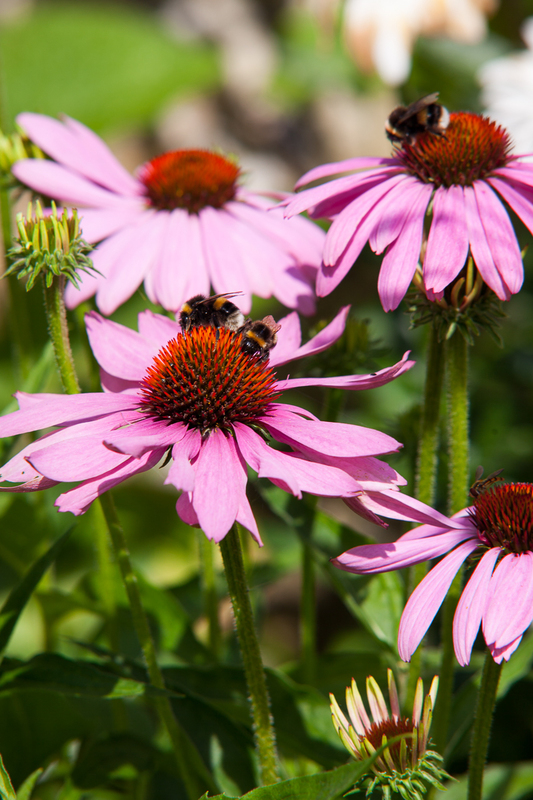 Try your best to pick perennials that say they last for 3-4 months, there are many that do. Some perennials are deciduous and others are evergreen. Some good evergreens to include in your plan are the winter flowering Hellebores. They give year round evergreen structure and the prettiest flowers from February to April when we all need to see some colour in the garden. Other useful evergreens are Liriope muscari which flowers a pretty blue from August to October and Bergenia which flowers In March and April in lovely pinks and whites. Some of the Bergenia have leaves that turn coppery in winter which adds a lovely touch of colour to the borders at that time of year. When you are choosing your perennials look for deciduous ones that will give lovely seed heads in the winter if left to dry out and not cut down and cleared away. Achillea, Monarda, Sedum and Echinops are to name but a few. You’ll find ideas of what to plant to give this effect in many books and on the internet. Using a carefully chosen selection of evergreen perennials, ornamental grasses, winter flowering shrubs, and perennials that fade to lovely seed heads you will have the palette to create year round colour, structure and interest in your garden. Remember that spring bulbs can fill in areas of the garden where you may be short of colour at the start of the year, until things get going in March/April time. I have previously blogged on bulbs so have a look at that and those spring bulbs that need to be planted between October and December will be all you need to finish off your planting design! – Who will be using the garden, when and what for? – Entertaining, family meals, children’s play area, area for growing vegetables? Be sure of what you want before you begin. – Do you know where the sun falls in the garden and when? – Do you know where you have any drainage problems that may need to be taken into account? 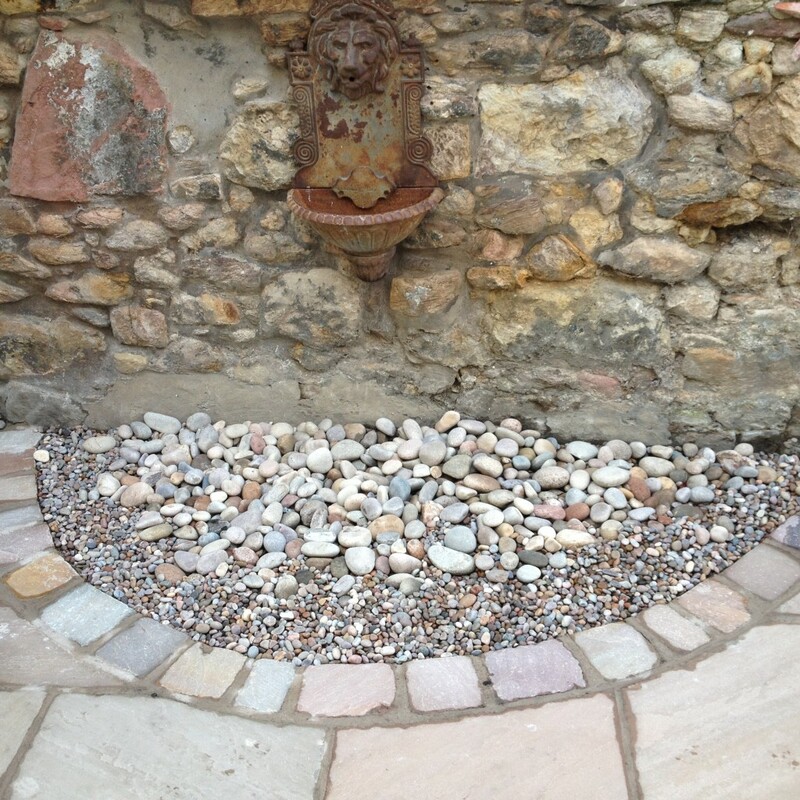 – Would you like atmospheric lighting or a water feature put in the garden? – How much time and money do you have for maintenance? – What is your budget for the project? Make sure you have a comprehensive list of these things and refer to it while you are working on the design. Remember, a sloping garden, drainage problems or the taking down and removal of such things as walls or old outbuildings will cost more to redesign, as the initial outlay for the preparatory works will be higher that if your garden was an empty flat site. Be aware that demolition and site clearance is pretty expensive. Try and reuse existing materials in the garden wherever you can, it’s better for the environment and better for your pocket. All designers will draw a design to scale, something most people with no design experience will not be able to do themselves. I suggest that for example when you have decided where to put a seating area for 6 people, that you go out to the space and either put 6 chairs and a table in that space to see if it fits or find out the measurements and mark out the area required. It is crucial when designing, that you have enough space to fit in the things you want! Remember the more patios, walls, and structures you put in to the design the more expensive it will be. The more lawn and borders you have the more you’ll see the price coming down. Less is more with hard landscaping and it should be elegant, simple and functional. If you’d like things such as a shed or water feature in your garden, find out the costs of these before you add them in so you can keep tabs on your budget. If you’d like some structures in the garden but your budget is tight, look to more traditional materials like woven hazel or willow to help keep costs down. 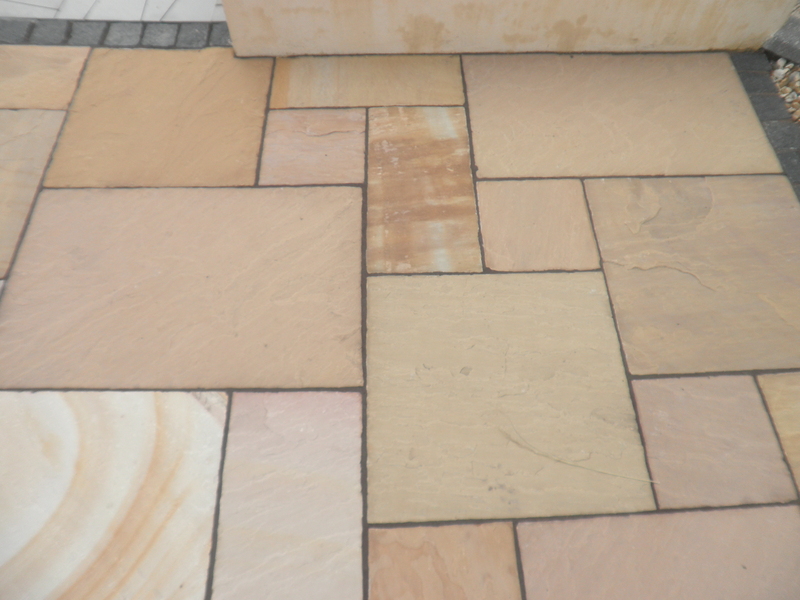 When it comes to materials such as pavers and gravel, speak to your local builders merchants to find out the costs of different materials so that you can pick the ones that suit your budget as well as the garden. You will be able to get bulk bags of various materials, so that may be a more economical way to buy them. Using environmentally friendly materials, non-toxic preservatives, stains, paints and cleaners helps protect the environment too. Remember that once you have the design done you don’t need to have all the work done in one go. You can split the cost by doing it in stages and over two or three years if you’d like. As long as you have a cohesive design then that’s your blueprint to work from as and when, time and money allows. Take a good look at the style of your house and the materials used to build it. If your garden is to be a seamless extension of your house then you need to make sure that it looks the part. The style or theme you choose for your garden, along with the materials used to construct it need to blend. Do you want a soft organic flowing garden or do you prefer more orderly geometric shapes? In order to get the most out of your garden you should look at it as another room in your house and plan accordingly. Within this garden room you can create different, smaller ‘rooms’ in your landscape, for example, perhaps one for entertaining, one for children to play and so on. Many people decide they want their garden to reflect a particular theme, for example, a Japanese garden or a contemporary, modern garden or a wildlife friendly garden. This can give you a focus for both your design and also planting ideas. Remember you will need to ‘link’ these rooms whatever style you choose, so think about how people will move from one space to another. 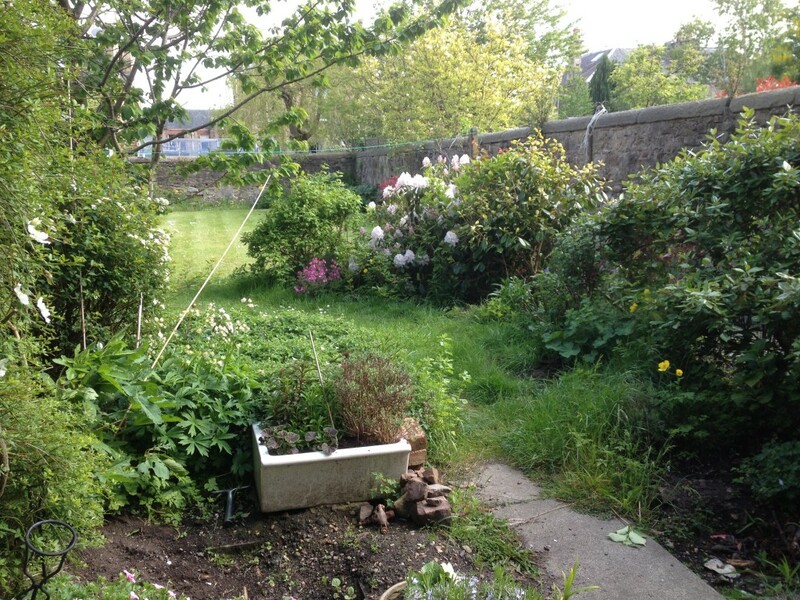 Create openings to encourage exploration of the garden space so that people can move around it. Using materials wisely allows you to create different ‘ rooms’ in your landscape. 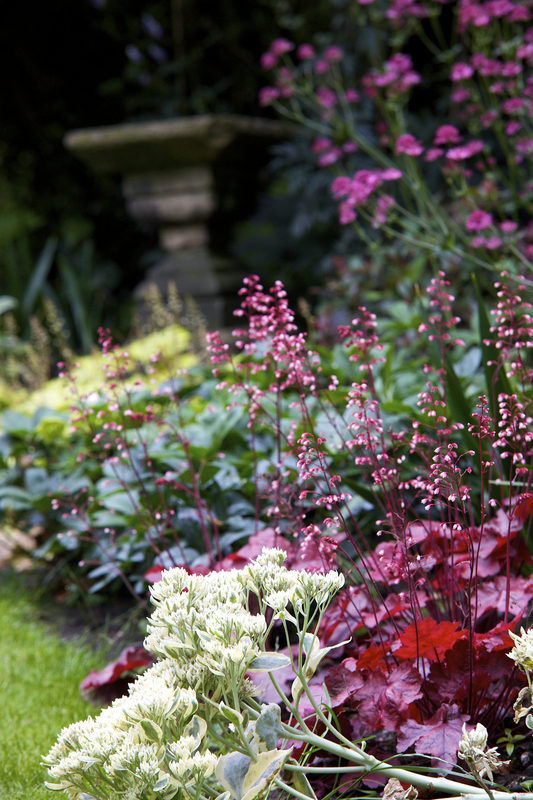 Using plants is a great way to define areas in the garden too, so don’t underestimate the importance of these. Early in your planning you should think about how plants will function in your landscape. For example, low growing plants can be used to create implied barriers, blocking access but without blocking the views. When it comes to planting, repeating similar shapes and structures in your garden to give you a unified view throughout your space. I will look at planting and planting plans in my next blog to help you with this important area of design. Looking at good examples of design is a create way to get ideas. Note what works well and incorporate that into your design. Don’t be frightened to pinch ideas from different places. Looking at what others have done is a natural way to find inspiration. Remember that most garden design deals with finding aesthetically pleasing and functional solutions to problems within a garden. Creativity is dealing with these problems and trying to find the best solution faced with a lot of possible options. Feeling unsure which one to choose is normal. Just do your best and remember if you get stuck you can always call upon a garden designer to give you some advice and get you over that hurdle and back on course! Not everyone can afford to have their garden designed and built and people often ask how to do some or all of it themselves. That’s fair enough, so I’ve put together some hints and tips to help you ‘go it alone’. • Does your garden face north, south, east or west? • Is your garden battered by northerly or westerly winds? • Do you have any frost pockets in the garden? 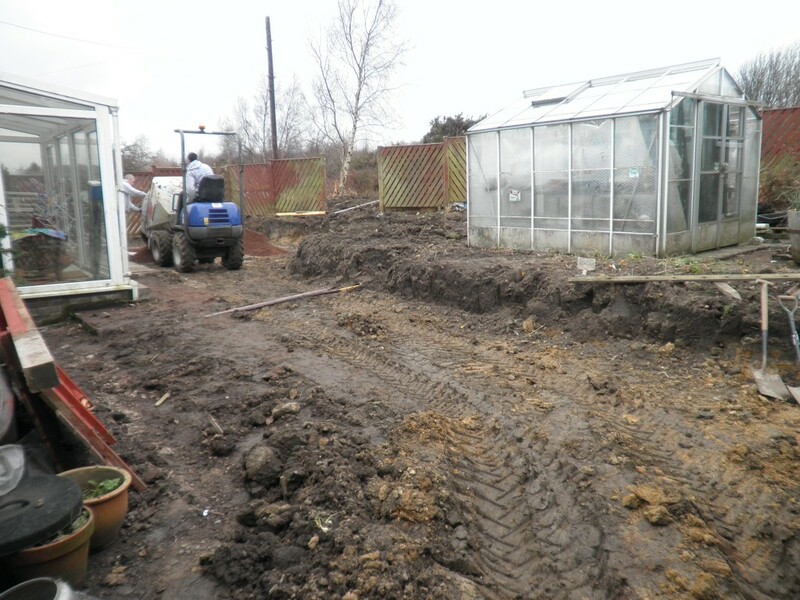 • Is your garden on a new-build estate and does it have poor soil or indeed any topsoil? • Check the pH of your soil to see if you have any areas of acid or alkaline soil .You can buy soil testing kits from any garden centre. Remember that different parts of your garden can have different pH levels and this will affect your plant choice. • Do you have beautiful loamy soil? Most people don’t, so be sure you know what you’ve got! Plants that will thrive in sandy soils will be different from those suited to a clay one. The same applies to the location of the garden. 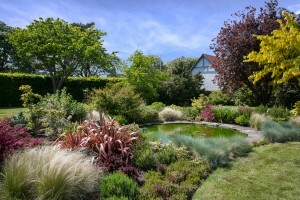 Seaside gardens and town gardens will require the same thought and consideration when it comes to planting. • Where does the sun fall and at what time of the day? Do you have any areas in the garden where drainage is bad and you notice pools of water? • Is your garden on a slope? Do you need to think about retaining the soil in places? • How do you want to use the space and who will be using it? Do you have pets? Small children? Do you plan to entertain outdoors or have family meals outside? – Allocate a budget to the project – work out how much you can realistically afford to spend and seek advice if necessary, on how to maximise it. 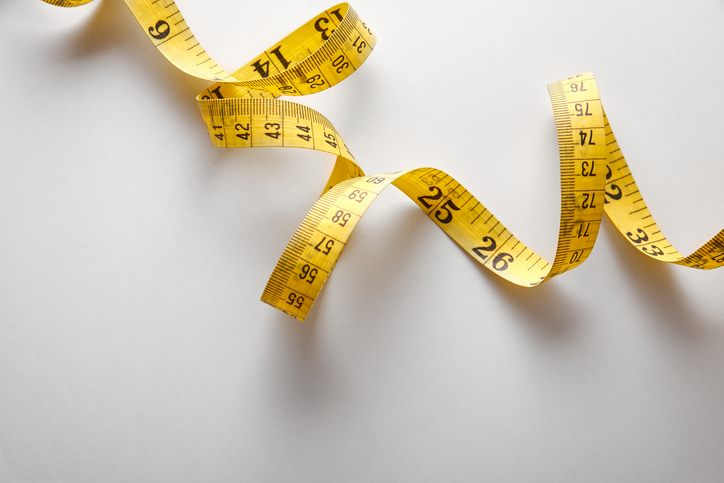 The next step is to measure up you garden so that you know exactly the amount of space there is. If you want to add or change levels to the garden and you don’t know how to do that then try and find a friend or colleague who does know and enlist their help! Try your hand at a design. In my next blog I’m going to cover how to tackle this. To make sure you’re on the right track though, why not contact a Garden Designer once you’ve finished it and run it by them. Most will charge a consultancy fee of £45-£75 per hour but you’ll probably only need one or one and a half hours with them. It is a much cheaper option than getting a design done and will ensure that any ’mistakes’ you have made are corrected before you spend any real money! This website will give you incredible tips and instructions on the vast majority of tasks that anyone would need to undertake building their own garden. Once you garden is built the planting plan is the final stage. Do think this out carefully and again use library resources and the internet to get advice on how to put together a planting plan well. Local plant nurseries will be able to give you really good advice so do take the opportunity and ask. If you are buying your plants from them you will get plenty of help with what to choose. People waste a lot of money on plants that fail quickly for a number of reasons. place to get carried away and spend more money than you intend! If you have a bit more money to spend then I’d buy larger shrubs and the 9cm herbaceous. Plant in spring so they get as much growth on as possible before the winter. Finally, larger shrubs and 2 litre herbaceous for a more instant impact. Remember some shrubs will go quickly and others won’t. If you do some research you can find out which ones will give you more impact more quickly! With regards to trees and deciduous shrubs and hedging plants e.g. Birch, why not wait and order them bare-root (without soil) and plant them between November and March. This will reduce your costs, but the garden needs to be snow and frost free when planting them. You may feel having read this blog that you don’t feel comfortable doing the whole project on your own. Remember, you can always get a garden designer in for bits of the project or just for an hour or two of consultancy if you need to. Great, so now you’ve decided whether it’s a garden designer, landscape contractor or design and build company that’s right for you. So how do you go about finding ‘The One’ and when you do, what should you ask them? These are good questions and ones most people ask me. Here are some ways to find people, things you should ask them when you meet and some things you should be aware of. So how do you actually go about finding these people? – The best way ideally is a personal recommendation from someone. It could be a friend, relative, neighbour or even someone you chat to at the school gate. Ask them about their experience of the person they used and crucially, if they were starting their project from the beginning again, would they use the same person. – Often neighbours or someone in your street is having work done and this is an ideal opportunity to take a look. You may not want the kind of design that they are having done but you will be able to see the quality of the designer or contractor’s work first hand. – Often you can find a designer or contractor by spotting their car or van with their logo and details parked outside someone’s house. Feel free to ring the doorbell where the work is being done and ask the owners about the service they’re receiving and experience they’ve had. – The internet now is one of the key ways to find these people. Often previous clients have posted reviews on google or other websites. Reading these gives you a quick and easy way to find out what some of their previous clients thought about them. Most designers and contractors have websites now, showing the work they have done. Have a good look at this prior to meeting them. So,once you picked some of these people to meet,what should you ask them? – How long have they been in this line of business? 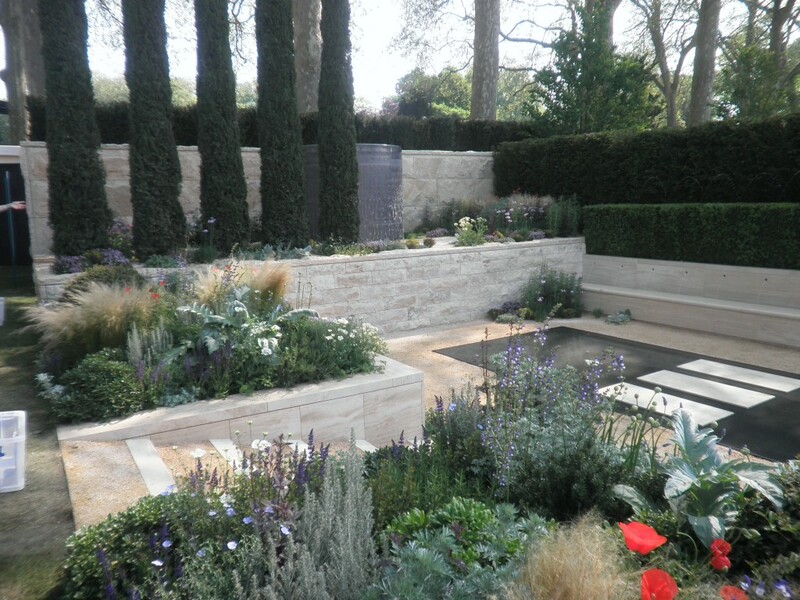 – Are they affiliated to any professional bodies or have they undertaken any formal training in the case of garden designers or design and build companies? Where and for how long? – Are they happy to give you references that you can contact? – How far ahead are they booked up? Ideally, autumn is the best time to get in touch as all the design work can be done at this time of year followed by a winter build and planting in the spring. See if their commitments fit with what you would like. At that meeting a tight brief of what you are looking for should be taken by the professional. They should also bring up the question of your budget at this stage. This is not a question designed to trick you into parting with more cash than you want to. It’s essential for the professional to have the opportunity to see if you have a realistic budget to match your brief. They should be able if your budget is not realistic to explain why not and how much roughly you would need to get what you want. Speak to two or three professionals and you will hopefully be told a consistent story. A good professional will be able to help you align your budget with what you want from your garden. This may be advising that you need a landscape contractor rather than a garden designer or managing your choice of materials and hard-landscaping versus soft landscaping to reduce your costs. – Always have a contract with whoever you engage. I cannot stress enough the importance of this. I always have a contract with my clients, not because I think they won’t pay but rather for absolute clarity in terms of what they have asked for and my fees and terms and conditions. It is easy for miscommunication to happen and this is a straightforward solution to prevent that. – Do you get a good feeling about the person you may be engaging when you first meet them? – You may, like many of my clients be out all day at work. This may mean you give a set of your house keys to a contractor while they are working on the garden build. It is paramount that you feel the contractors are trustworthy and that you know that you can do this without worry. – When you ask for references, are they willing to give you names & contact details of previous clients or do they appear reluctant? – Could you stand having them around your property for the time it takes to do the work? Some projects run on for months. – Do they have professional insurance if anything were to go wrong? There may be other questions that come to mind and in your initial conversation with anyone you should feel free to ask them. Often who you end up choosing is not solely based on price but whether or not you ’get on’ and feel that not only are you on same wavelength as that person but that they will deliver the end result that you are looking for. You know then that you have found ‘The One’. What are the differences between a Garden Designer, Landscape Contractor and a Design and Build Contractor and how do they make their money? One of the questions I get asked a lot when people find out I’m a garden designer is what do I exactly do and how is that different from a landscape contractor or a firm that does design and build? That’s a really good question and I have to say that I would also have had to ask that question years ago. Let’s look at the differences so you can decide the right one for you and save yourself a lot of time. 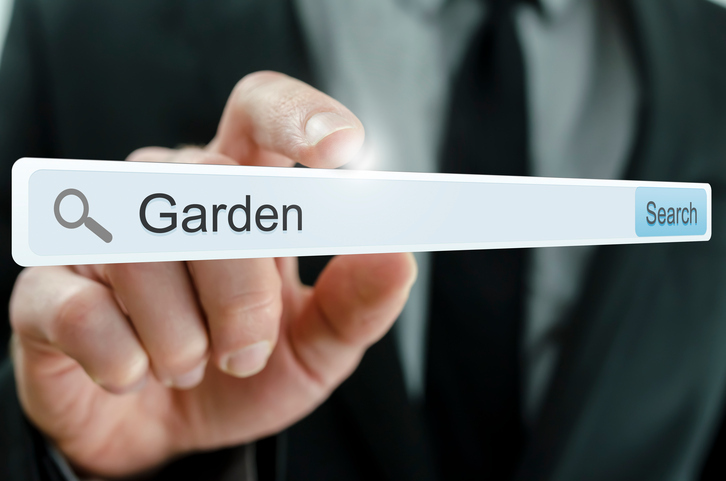 Garden Designers tend to offer the following services. General advice on a consultancy basis about your garden, survey and full design of your garden, project inspection of the garden build, planting plans and supply of plants along with planting services. 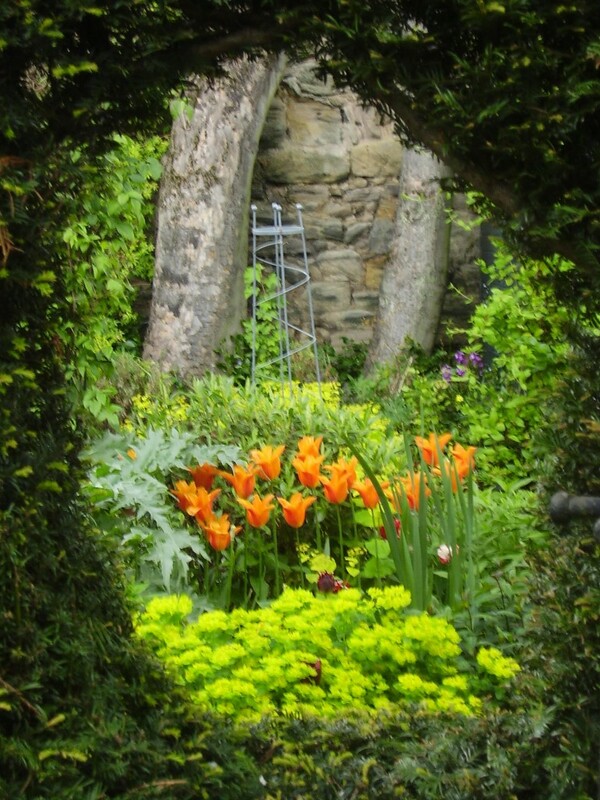 They make their money from their time giving advice, designing and inspecting your garden build, doing planting plans and supplying you with plants and planting them for you. They will work with several sets of good contractors who will do the actual garden build for you and will be able to get comparative quotes from them for you to choose from. Landscape contractors tend to work in a different way. There are some who will simply build you a garden, laying lawns, building pergolas and walls, all the physical stuff! Some of these guys will ask you to get a design done by a designer before they undertake the garden build as they will work accurately to the plan and can give you a quote for the materials prior to the work commencing. They feel more comfortable sticking to what they do best which is building the garden, preferring to leave the design to someone else. They make their money from their labour and also from the mark-up on the materials they use. Finally, design and build companies of which there are quite a few. The ‘design and build’ companies will do a design for you and then build your garden. The standards of the design will vary as with every profession from very good to rather poor. They do not make their money on the design aspect of the job but on their labour and mark-up on materials the same as landscape contractors. The cost of the time spent doing the design is simply absorbed into the cost of the total project. These firms will often supply the plants and do the planting too. In my blog next week, I’ll give you advice and tips on how to find the right garden designer, landscape contractor or design and build company for you and help you make the right choice. So How Much Does Garden Design Cost? It’s a great question. Let’s face it, who wants to agree to having any work done in their home or garden only to discover that the cost turns out to be much more than expected? Your garden is something that you will be looking at and enjoying for many years to come, so it is essential that you have an idea of how much the project will cost before you begin. So, let’s look at the costs and pro and cons of having your garden professionally designed and then you will be able to make the best decision for you. 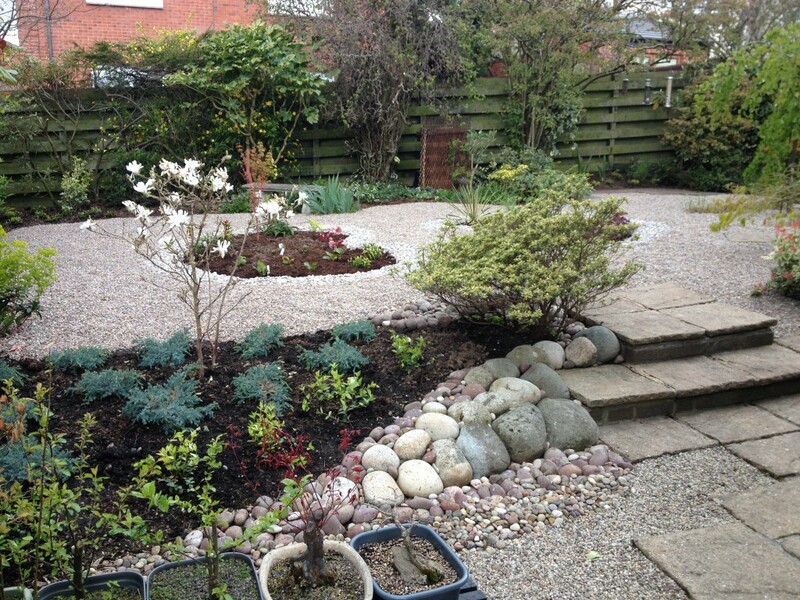 The things to think about when you’re considering having this work done is what do you want from your garden? Realistically how much do you have to spend achieving this? 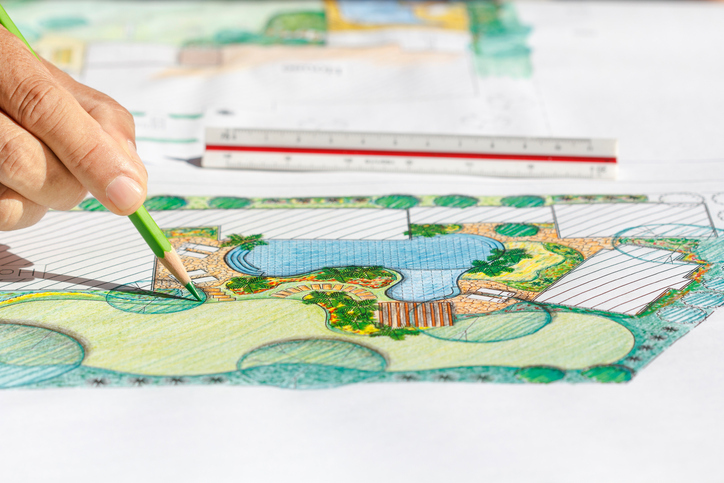 A good garden designer will come out for an initial consultation. During that time they will assess the site and go into detail about how you want to use the space. How much you have to spend should be one of their questions. This is not to try and take advantage of you financially but simple to gauge if you can afford the kind of garden you are asking for and give you good advice on how best to proceed. Costs for an initial consultation which lasts about 1.5- 2 hours varies in cost. The cost of this according to a number of factors including travel time. When you first make contact with a garden designer ask how much if anything this initial consultation will cost. If you’re unhappy with the answer you get then asking the question has not cost you anything. I should mention at this stage, that after an initial consultation with prospective clients where I can advise them on roughly how much they will need as a budget for what they want, there is no obligation for them to take things any further. 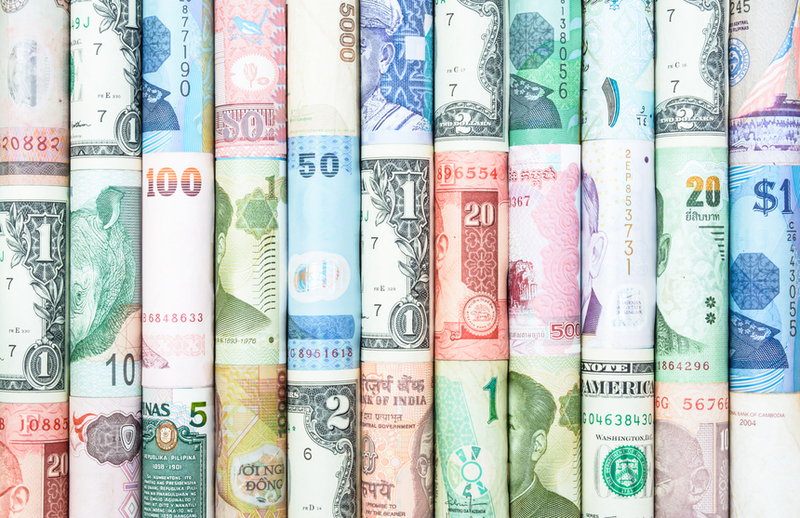 So for often a very modest amount of money around £50, you can get good advice before you decide whether to move forward or not. In terms of the fee for the survey and design, that should come in at 10-15% of your total budget. The price of the design is not necessarily more because you have a large garden, rather the price is often determined by a number of factors. My design fees generally tend to range from about £600-£1800 as a guide. Obviously it depends on the scale and/or complexities of the project. So where will most of your money go? It actually goes to the contractor who is doing the garden build for you. The more walls, paved areas, pergolas and such that you have which is termed ‘hard landscaping ‘ the more expensive it will be. The more lawn and planting you have which is your ‘soft landscaping’ the less you will pay. A good designer will advise you about how to manage costs both up and down the scale so that your expectations are in line with your budget. 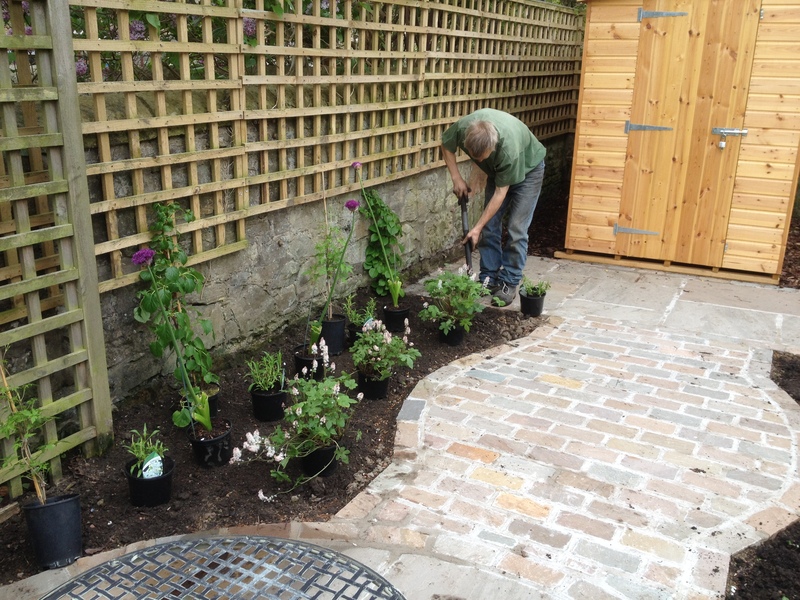 If you’d like several quotes from contractors, the garden designer can meet with them separately at your garden to go through the design and additional information required prior to the build starting, if you would like. They will also undertake periodic inspections of the build while it is going on. Different designers will charge differently for this with some agreeing a certain number of visits once you know how long the build will take, like myself and others will charge as a percentage of the overall build. I charge my hourly fee which currently is £50 per hour for each visit. Usually with the good contractors I use, it is one hour per week of the build. But that can be more if it is required. Finally, you’re almost there, with the icing on the cake being the planting plan which comes next. I offer all my clients fixed fees for their planting plans and once the build is complete and I can see the borders and spaces that need to be filled. 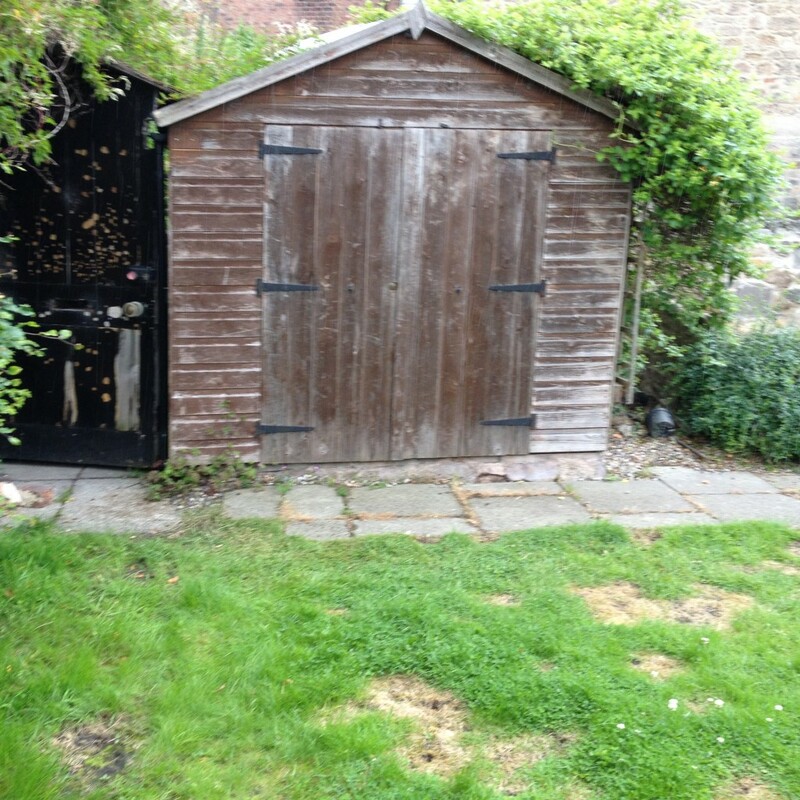 Depending on the size of garden from small to large my fees range from around £450 – £1850 and all fees are given prior to undertaking any work. My colleagues will all work in different ways, so do ask at the initial consultation how their fee structure works. As you’re reading this you may well be thinking that all the same this is all starting to sound rather expensive. I would suggest that you think about the following while you’re mulling things over. If you were planning to put in a new bathroom, kitchen or conservatory how much would that cost? For most people who consider garden design, their garden ‘room’ is often bigger than any of these rooms. 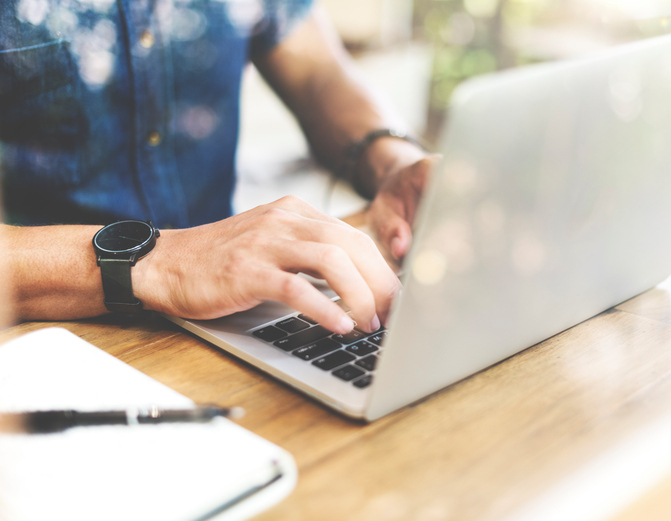 When you engage a good designer they will guide you through the process advising you on what areas of the project you’d be wise to spend money on and areas where you can save money, helping you from making costly mistakes. They will give you a well thought out beautiful but functional garden with all that you want encompassed in that. That will allow you to feel confident that you are not making mistakes and wasting money. The same applies to the planting plan. Many people I speak to have spent a small fortune on plants for their garden with the end resulting often being a beautiful ‘May’ garden but no colour in it all by July. I have seen many gardens packed with plants that have grown way too big for the space they inhabit. A good planting plan avoids all this hit and miss over planting and allows you to feel confident that you will have well thought out plant combinations year round. Lastly, the plants themselves. Ask the designer where they source their plants from. Personally, all the ones I put in my plans are grown in the tough Scottish climate that they will spend the rest of their lives in. Not only will you enjoy using your beautiful well designed garden while you’re in your house but if you decide to sell then not only is it likely to sell more quickly but currently you will be adding value to your home in the region of 12-15% maximizing its value. Well, now you have heard the pros what are the cons? Well if you have a budget of say under £5.000, which is still a lot of money, you will be struggling to get your garden re-designed and built for that unless it is very small and your brief relatively simple. In these situations my advice would be to pay for an hour of a garden designer’s time and ask them to visit the garden to see how far they think your budget will stretch for what you want. They should be able to give you ideas and good practical advice along with the name of a good contractor who very likely will be able to give you something very nice within your budget. Being realistic about how far your budget will go is essential. I guess the cons with this are getting a bad contractor who does a poor job or takes the job with no real idea about design and you end up with a garden that disappoints you. Picking the right designer or contractor for you is absolutely essential and I will cover how to do that in my next blog. However you look at garden design, it is rarely a cheap option, so getting the right garden designer and contractor is the key to it all. Being realistic about your budget is also paramount. If you have £1500 to spend in total, it simply won’t be enough. A certain amount of patience is required and the understanding that having your garden designed will take more than a week or two. Projects generally take from around 3 months to sometimes a couple of years. It will just depend on what you want, the size and complexity of your garden project and the time of year you get in touch with a designer or contractor. If after reading this you decide having your garden professionally designed is the best choice for you. Read my blog next week about how to find the best designer for you. I’ll also explain the differences between a garden designer, landscape contractor and a landscape architect. There is still plenty to keep you going in your winter garden over the next few months and on crisp, sunny days it can be a real pleasure spending time outdoors. Here are some hints and tips on what to tackle over the next few months. • Rake up leaves from grass to avoid damage to your lawn. • Dig over areas in preparation for sowing a new lawn in spring. • Prune Acers, Birches and Vines. • Plant bare-root fruit. If the ground is too frosty when you get the plants, roughly plant them in a temporary spot ready to move to their final position once the weather improves. • Put a floating ball in the pond to stop part of the ice freezing. This allows methane gas produced by decaying vegetation to escape. 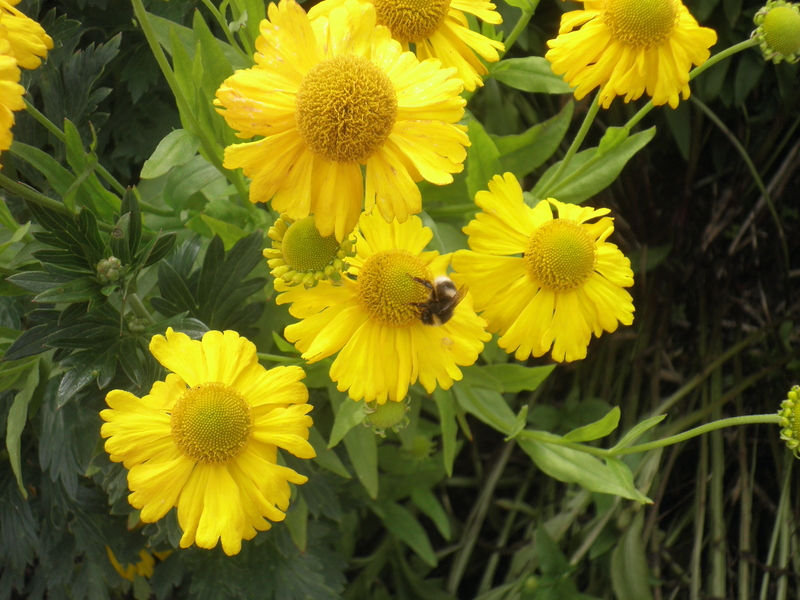 • Split established clumps of herbaceous perennials to improve flowering and vigour. • Still time to clear the ground, removing any old plants and dig it over providing the ground is dry. It’s a good time to add any additional organic matter such as garden compost. • Cut back all old stems on ornamental grasses to ground level to make room for the green growth that will be starting to push through usually in February. • Divide snowdrops. 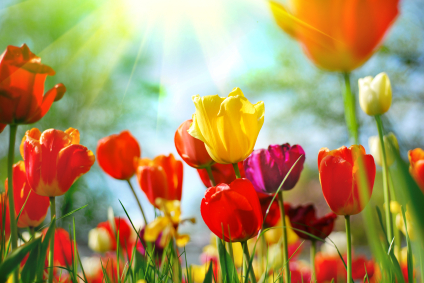 To increase your clumps, lift them as flowers begin to fade and split them, replanting single bulbs a few centimetres apart.